Mega Moolah has had yet another big jackpot payout! and now proven to having paid out over €574 million to date. 8 April 2016, Friday, a Spin Palace Casino lucky player hit the big Mega Moolah jackpot with a whooping win of €6,905,670.81 which was paid out in a lump sum just like all other Microgaming’s progressive wins. Yes a very big Congratulation to the lucky player for their massive win. In October 2015 Microgaming made headlines and had heads turning as they had a Betway UK player Jon Heywood who won the Great British Pound equivalent of €17,879,645.12 on the Mega Moolah slot. With this BIG win it was a Guinness World Record title for being the largest jackpot payout for an online slot machine game. You get these in your Bonus spin and this will show your luck! 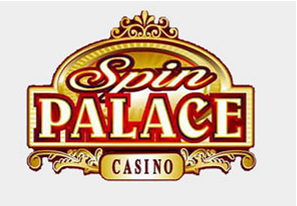 Click here to play at Spin Palace now! This entry was posted in Online Casino Guide on April 21, 2016 by Jessica.